In this post I am going to show you (with pictures) how I create systems and procedures that are performed in my private practice. 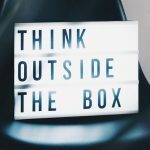 This is one of the most helpful skills that I can teach you in order to free up your time in order to work on your business and not in your business. Money – You can probably find some freebie video screen capture software but you will get what you pay for. Screenflow for your Mac is a great option at $99 and Camtasia for Windows will run you $199 at the time of writing this post. Another option is to have a Zoom account. Zoom is like Skype but better and can record screen conversations and screen sharing. Zoom runs me $15 per month. Learning Curve – The learning curve of how to shoot the video, capture the screen shots, talk over the video, edit the video, process the video, upload the video is a pretty steep curve. Time – Once you are very good at creating training videos you possibly could crank them out as fast as creating written explanations. The problem is getting good at video. You are a therapist and a business owner. Do you have the time and desire to learn and get good at video? Future Editing – If something changes in the SOP you will want to document that change. Making that change in a video you already created is going to be much more difficult than going into a Word document and changing some wording or taking a different screen shot picture. That being said I still love creating videos and I will continue to make them for my practice. 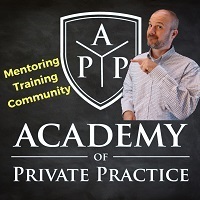 Creating training videos over the years has helped me create some marketing videos for my private practice as well as create learning tools for this website. Another big ah-ha moment was when I realized I could get my office staff to create Standard Operating Procedure (SOP) explanations. That’s like doubling your time-saving effort. After I created a few written SOP’s to get the hang of doing them I created an SOP on how to create an SOP. You won’t have to do that because you can just direct your office staff to this post and have them read it and then they will know how to create an SOP. Have them start with something simple like creating an SOP on how to send an email attachment and then see how good a job they do with that. Think about all the tasks that you do for your practice that could be done by someone else. Is it really that smart to be doing a task that you could pay someone $10 an hour or less to do? Think of the extra money you could make doing treatment for close to $100 an hour instead. Maybe you need to spend more time marketing your practice. In order for your business to grow you need to spend more time on your business and less time in your business. Evernote is another tool I use and you can use Evernote instead of Microsoft Word to create and share SOP’s. First think of a few tasks that are fairly simple to do but that take you a significant amount of time to perform. After you have a few in mind pick one that you think would be easy to document. Keep that task in mind as I explain how I create my SOP’s. You can learn how to use Snagit screen capture HERE. This is my go to tool when it comes to documenting my processes and tasks. Snagit allows you to capture any part of your computer screen and then annotate it or mark it up in a variety of super cool ways. OK, so how do I use this in my practice to get more done? As I am doing tasks I think to myself can I create an SOP to show someone how to do this. Usually, the answer is yes. First I created an SOP template. You can download it for free at the end of this post. I have the title of the SOP at the top and before the wording, I number it. This makes it super easy to refer to a specific SOP when I send my office help to perform the task. More later on how I schedule what I want to be done by my office help. The 000 is changed to the next number in the series of SOP’s. Be sure to start with three zeros and this will allow you to have up to 9,999 SOP’s and for them to appear in numbered order in a file. The numbers before the wording allows you to type in the search box the number by itself. This is super helpful after you create a bunch of SOP’s. Imagine scrolling through over 200 SOP’s looking for the right one. As you create more and more SOP’s you will reference different SOP’s in the one you are creating. You can also reference SOP’s in different ways like email or sticky notes or on a calendar schedule. By simply giving the number of the SOP your office help or other therapists can go into the computers SOP folder and search the number. You could arrange your SOP’s in a similar manner using Evernote. The screen shot shows below is one of my SOP’s. I ask my office workers to sign the SOP when they used it and how long the actual task took. This can help you gauge how much time a task is taking. Let’s get back to documenting our processes. After you paste a screen capture into Word put a frame around it so others can see where the picture begins and ends. You can also resize the picture by clicking on it and dragging at the corners. 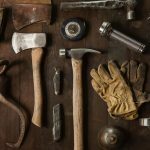 After you have a slew (yes, I just said slew) of SOP’s you need a way to organize when your office help performs each SOP. I created a spreadsheet calendar of tasks to be done and put the spreadsheet on Google Docs. That way more than one person can see and manipulate it at the same time. Just be sure to not use any private information like client names. I also created a clinic Google account and set the calendar spreadsheet document to come up whenever the Chrome web browser is opened. This way, each time an office worker opens the web browser, they will see the spreadsheet task calendar first. You can download my spreadsheet calendar at the end of this post. You may ask why I don’t just use the Calendar that Google provides. I tried it that way for a while and it just did not give me enough creative freedom for tasks. We do use Google calendar for therapist schedules. I created a video that demonstrates how we use Google calendar for that HERE. This spreadsheet calendar also allows office workers to input their initials as they perform the tasks. Take another look at the screen capture of the calendar and you will see narrow gray columns. That is for their initials. Spreadsheets also allow you to insert a comment or a note into each cell. This way I can show a lot of tasks and then explain how the task is to be done with an inserted comment that will pop up when they click on it. Guess what I put in those comments? SOP numbers. Yahtzee! Now you see the full circle. It may be easier to download this article for you and your staff to share and reference. One last tip. You can take a photo of anything the Snagit App to mark it up and then insert it into a SOP. Sometimes I have to be very specific with what I ask my office help to do. I have also used this technique with my kids at home. 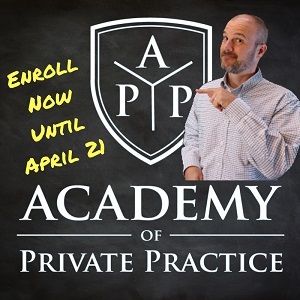 I would love to hear about any SOP’s and training tools you use in your private practice. Please leave any nuggets of helpfulness in the comments below.